Markets are a must-see when visiting Frome. The town is well-known as a bustling and creative market town, as it has been throughout its history. Hence there is a wide variety of diverse weekly and monthly markets to browse. To get the best Frome experience, plan your visit around these and see what our local tradesmen have to offer. 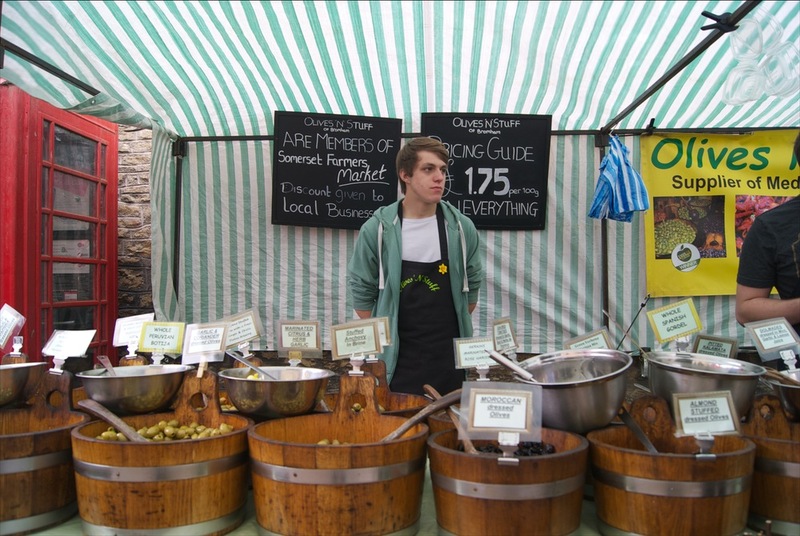 The markets allow Frome’s local farmers, food producers, craftsmen and other independent businesses to show what they have to offer. You can also find a great selection of interesting food, crafts, clothing and other products from the many independent shops in Frome. There are general markets every Wednesday and Saturday, with stalls in the Cattle Market Car Park by the Cheese and Grain and at the bottom of Cheap Street. The Frome Country Market, full of local produce, plants, crafts and art, happens every Thursday in the Cheese and Grain. The Frome Collectors and Flea Market, every Wednesday, sells quality second hand goods, antiques and collectibles. The Cattle Market at Standerwick (4 miles from Frome) also happens every Wednesday. In addition to livestock there are general auctions of goods and chattels. The Frome Independent is fast becoming one of the most popular destination markets in the country. It brings together independent food and drink producers, contemporary designers & makers, vintage fashion, collectibles and furniture. First Sunday of the month, March – December. Visit their website for more information. One of the largest stand-alone farmers’ markets in the South West, the award-winning Frome Farmer’s Market, is held on the second Saturday of every month. An established and popular range of farmers and food makers hold stalls here, selling vegetables, meats, cheeses, breads and innovative new food businesses. You can also stop by the friendly cafe at the Cheese and Grain for snacks and live music. Learn more about traders on the Somerset Farmer’s Market website. The Car Boot Sale is on the last Sunday of every month in the Cattle Market Car Park, open to anyone. 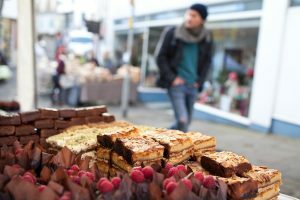 The Frome Vegan Market, the first Saturday of the the month, is Somerset’s first regular vegan market. From food and drink through to clothing, cosmetics, accessories and gifts, this could be a fantastic opportunity to stock up your cupboards, treat yourself or treat your loved ones to something special. If you’re not vegan, why not pop in and see why so many people are switching to this alternative way of life? The Cheese and Grain Café will also be providing vegan specials during the monthly market. 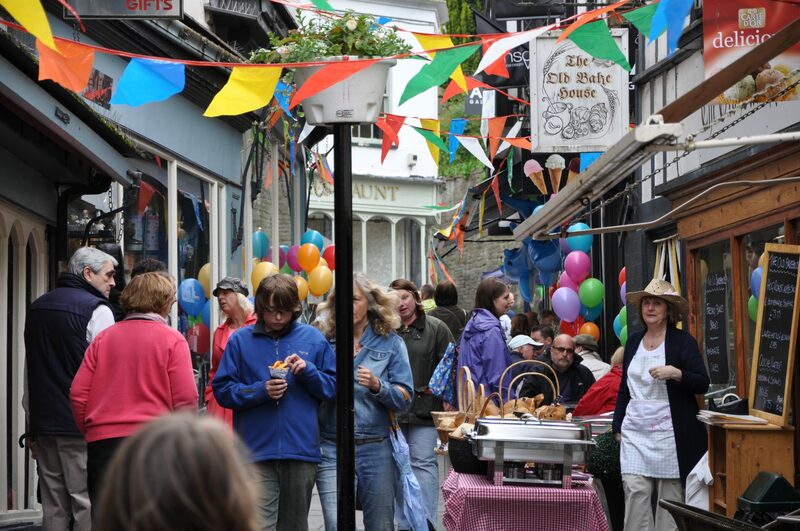 Aside from the many markets on regularly in Frome, you’ll also find others throughout the year. These often feature specialised sellers and products. Some staples include the popular Chocolate Festival, the Vintage Bazaar or the Christmas Extravaganza market.